Today we’re investigating one the body’s most vital minerals, magnesium. 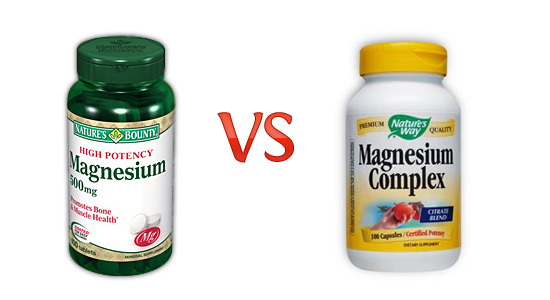 We’ll be taking a look at two different magnesium supplements: Nature’s Bounty 500mg Magnesium tablets & Nature’s Way 500mg Magnesium Complex capsules. 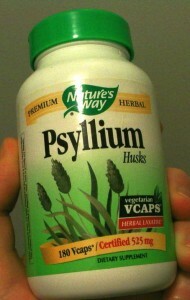 Today we’re taking a look at Nature’s Way Psyllium Husks capsules. Psyllium husks come from the seeds of the psyllium plant. Psyllium husks are hydrophilic meaning they are attracted to water & readily absorb it. When saturated with water psyllium husks produce mucilage which is a thick gooey substance. Mucilage creates a film over mucous membranes, such as those found in the intestines. This film can help with the passage of stool as well as lowering inflammation by reducing the chances of irritation. Today we’re reviewing Custom Probiotics CP-1 Adult Formula, a multi-strain probiotic containing 50 billion colony forming units. 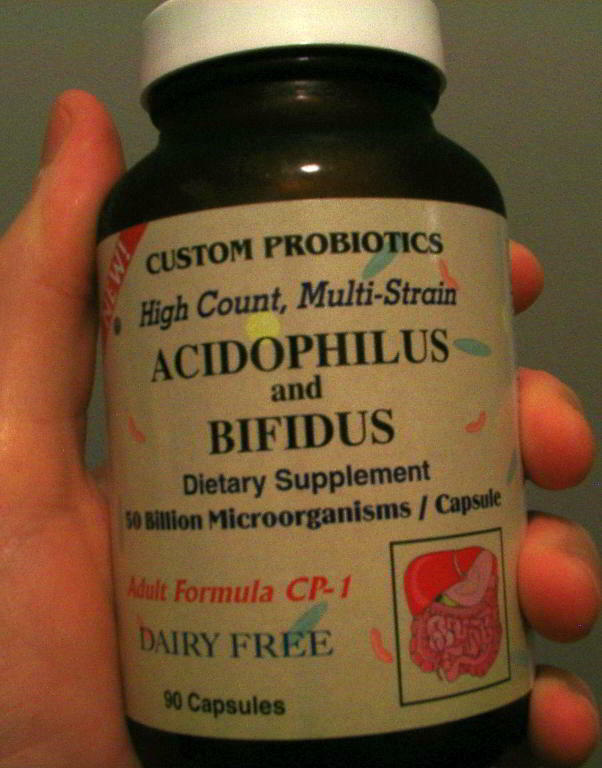 When I first started looking into getting on a serious probiotic regimen I believed the holy grail of probiotics would be a low CFU(colony forming units) probiotic that you could slowly taper up as you got used to it. CFU is a measurement of the number of colony forming bacteria units inside a probiotic supplement. Supposedly the idea is that the more CFU the higher chances the bacteria will populate the digestive system. My target at the time was around 1 billion CFU. This is why I reviewed a lot of products like Primadophilus for Children & Align. Part of the reason I was concerned with finding a low CFU probiotic was due to the fact that I often experienced herx reactions(flu like symptoms) & constipation when taking probiotics. My thought was that if I go low & slow, my body will adjust as I taper up. I’ve since learned that any probiotic I take gives me these reactions, so for me, low & slow has failed. 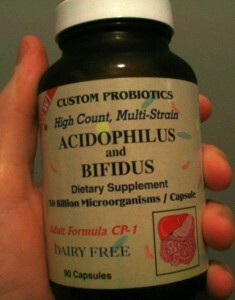 I was often not taking probiotics because of the symptoms they produced. 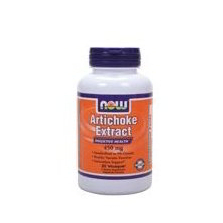 Today we’re taking a look at Now Foods Artichoke Extract Capsules. GoodBelly Splash, A Healthier Alternative In Your Grocer’s Cold Drink Case. Goodbelly ramps up the probiotics with one of their newest products, “Goodbelly BigShot”. 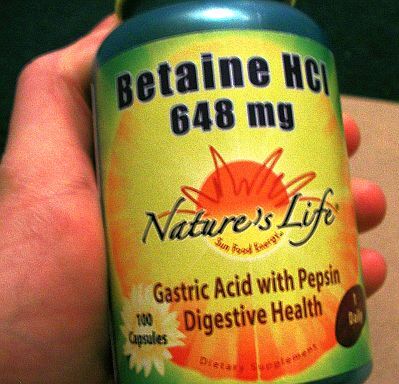 Stomach acid(mainly Hydrochloric acid) is an essential part of the digestive process. It is one of the three main things(enzymes,acid & muscle contractions) your stomach uses to breakdown foods into things like sugars and peptides which your small intestine can then absorb. Hypochlorhydria is a condition where stomach acids are lower than normal or completely absent. The interesting thing about Hypochlorhydria is that the symptoms are very similar to Gastroesophageal reflux disease(GERD). There may be many people out there who are experiencing GERD like symptoms, but the medication they’re prescribed is either not working or actually makes their symptoms worse. This may mean they are experiencing low stomach acid instead of too much stomach acid. Usually doctors do not check to verify if that is the case or not. If you have Hypochlorhydria or you feel you have upper digestive issues related to low stomach acid you can supplement this Hydrochloric acid in pill form. 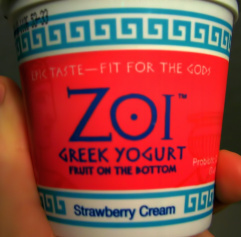 Today we’re reviewing Zoi Greek Yogurt.